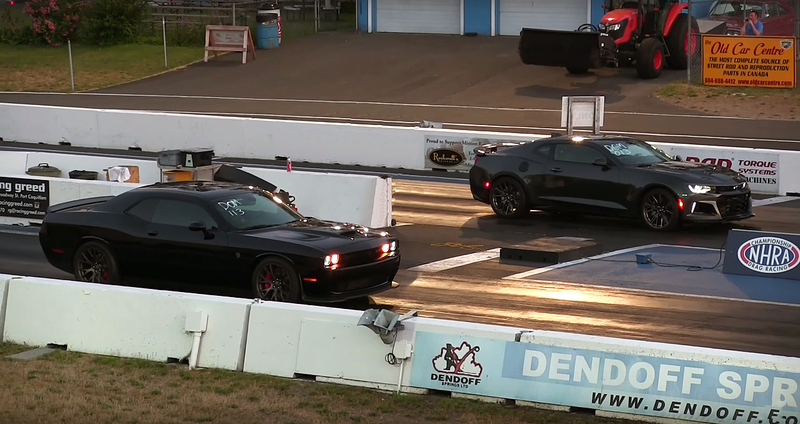 Since the early 1970s the Mustang and the Challenger have been one of the best high performance American muscle cars, which only at the drag strip can be proven who is faster. 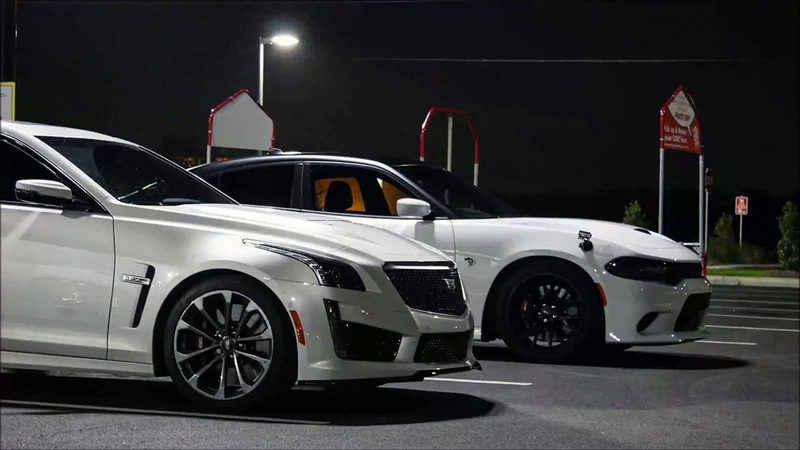 Today we have these two legendary American muscle cars in their modern reincarnation, actually the best of their kind. 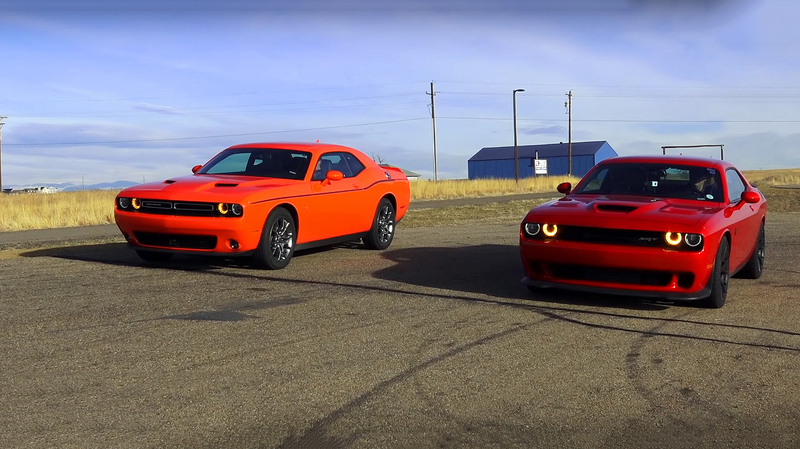 The 2015 Dodge Challenger SRT HEMI Hellcat and the 2016 Ford Shelby Mustang GT350. 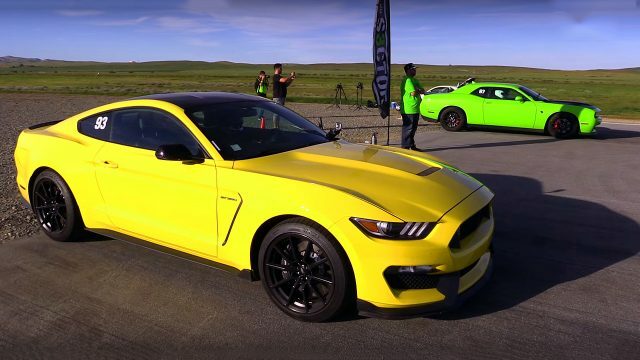 When you look at their specification the Hellcat has 181 more horsepower that the GT350. But on the other side the flat–plane crankshaft Shelby engine can rev up to 8200rpm, which can ensure shifting gears at high RPM. But, as always the best way to see who is faster is the drag race. But first, let’s see some specifications. The 2015 Dodge Challenger SRT HEMI Hellcat has the Supercharged Chrysler’s 370 cubic-inch, 6.2 liter, SRT HEMI Hellcat small-block V8 engine, factory rated at 707 horsepower and 650 lb.-ft. of torque. The 2016 Ford Shelby Mustang GT350 is powered by Fords naturally aspirated 315 cubic-inch, 5.2 liter DOHC 32-valve flat-plane crankshaft small-block V8 engine, factory rated at 526 horsepower and 429 pound feet of torque. Of course Dodge was going to win. They used a supercharged vs natural aspirations. 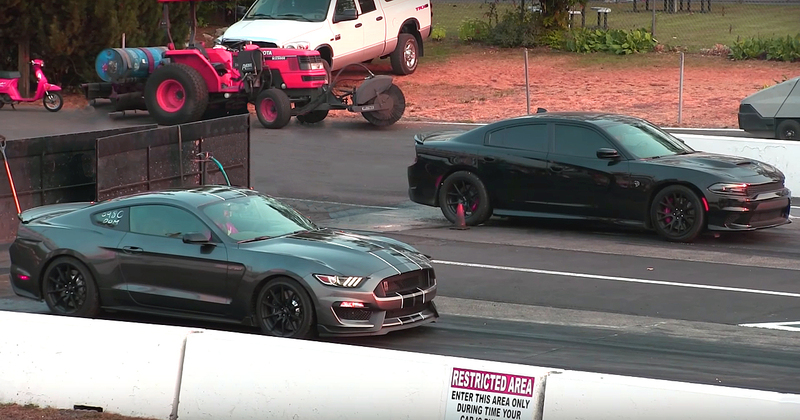 Put a supercharged on the Mustang then you have a fair race. yes, that would be fair race!